What can you do if you don’t like your numbers? Often this option is taken from our control, due to age discrimination in the workplace or due to health problems. But… if you can stay employed it is the best of all solutions for a financially easier retirement. You earn more money, you get more social security credits, you pay off your mortgage, and you can put more into savings — win, win, win. Even just another six months can make a real difference. The biggest win of all is if you can stay employed after age 70. You will not only have your salary, but you can also get your maximum social security payments. I’ve been able to do this for 1-1/2 years now, and it has been wonderful for rapidly paying down my mortgage, car, and RV, plus paying into my IRA. Yes, taxes are taken out of it, but the net can still be a substantial bonus. This is a wonderful strategy (if hard to make yourself stick to!) because it helps your retirement in two different ways. It lets you discover which of your expenditures are easy (or easy-ish!) to do without and which are not. The bad news about part-time jobs is that they typically pay very little. If you find you must work for low wages, try to work in an environment that gives you some emotional satisfaction. For example, at a bookstore, clothing store, jewelry, toys, feed lot, hardware — anything where you have an interest. Sometimes we just miss talking to other people — so these jobs can give you contact as well as a little extra money. If you can set it up with your employer before you retire, some companies are happy to have employees working part time in their “retirement.” These jobs typically pay more. You can substitute teach, fill in for employees on vacation, or take something previously farmed out to a service firm and cover it yourself. If you have specialized skills, you can contact a temp agency — where you could work or not on your schedule in accounting, HR, clerical, databases, etc. 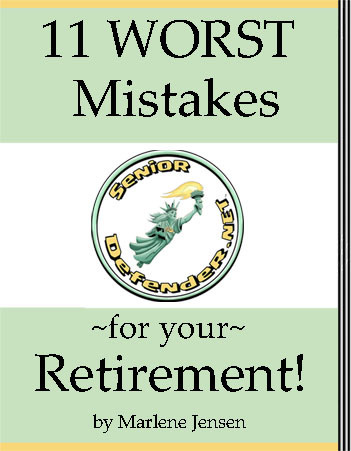 This is not a topic I know very well, because I’m still a couple of years from retiring. (And perhaps in denial that I will need to do this!) But you will probably be as impressed as I was with the following wonderful blog post. A Satisfying Retirement with Limited Resources – Can it Work? Added note on 10/15/2018: A second great blog post on getting by with less that you may wish to check out. Posted in Money	can't afford to retirecan't live on my retirementretirement incomeWhat if retirement income isn't enough?